Traditionally used for braised duck legs or pork belly, the red cooking broth imparts a distinctively Chinese flavor to these venison shanks. 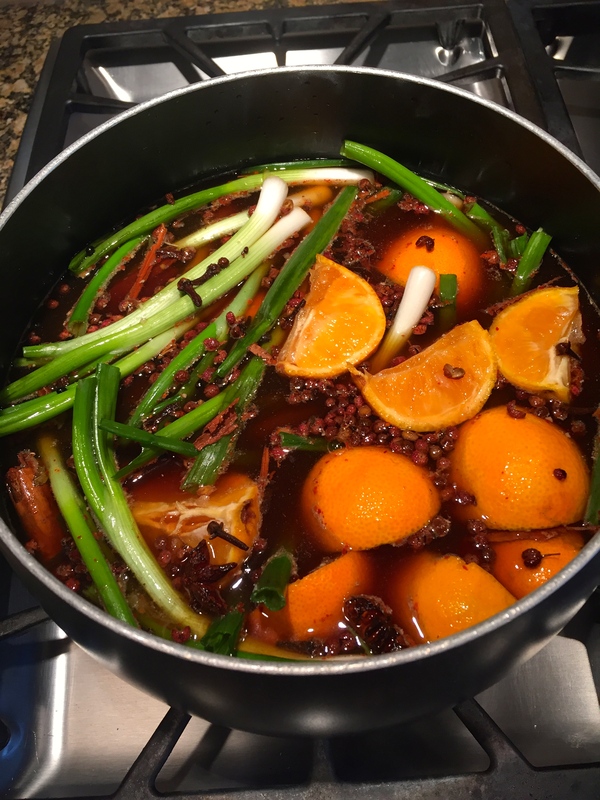 This “red cooking stock” has several Chinese spices, as well as a touch of rock sugar and sherry to create a salty-sweet-spicy braising liquid for slow braised venison shanks. Make a double batch of the red cooking stock and freeze half to use for whatever tough cut you want to give a low, slow braise. Start by gathering the ingredients. 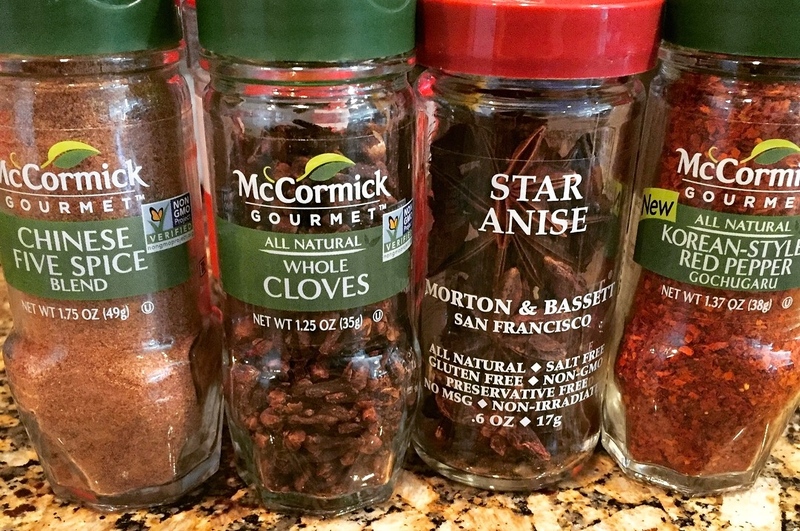 Add all the spices and liquid to a pot and simmer for 15 minutes. 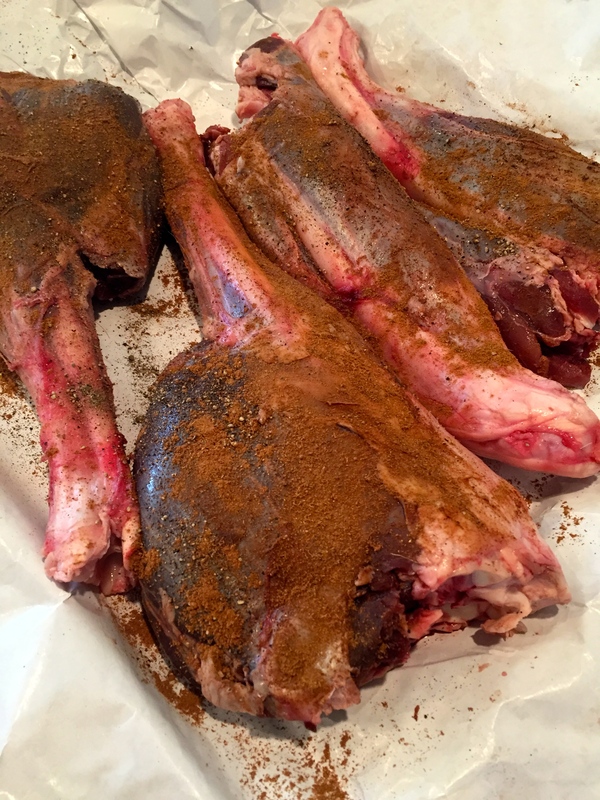 Then season the venison shanks or any tough cut of meat from the neck, shoulder, or hind quarter. Sear the shanks in a little peanut oil. 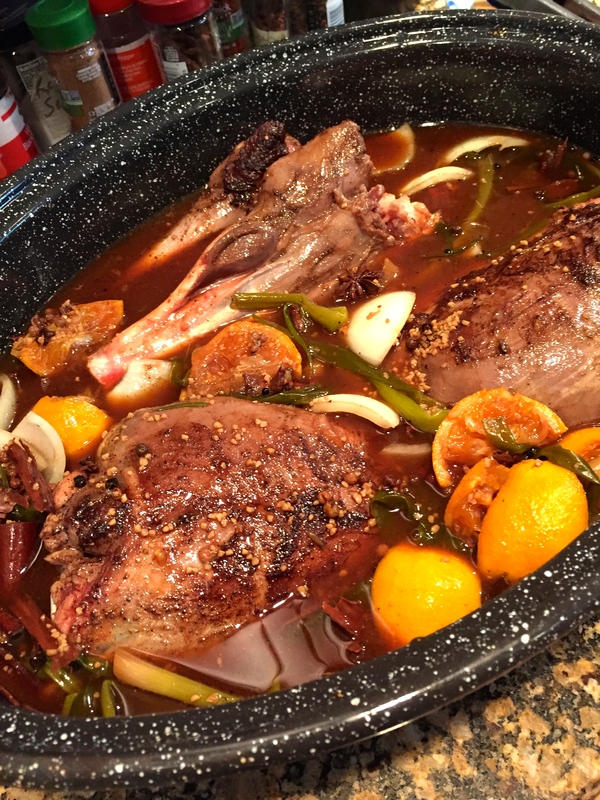 Then add the seared shanks into a large roasting pan and pour the braising stock overtop. Cover and place in the oven for 5 hours. 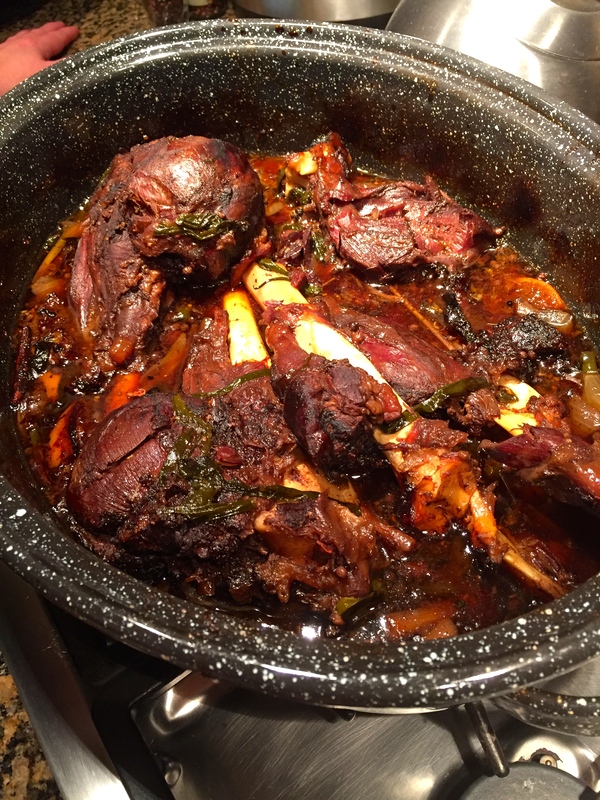 Remove the shanks and strain the braising liquid and discard the solids. Thicken the sauce with a little cornstarch. Stir fry vegetables and steam or simmer rice. 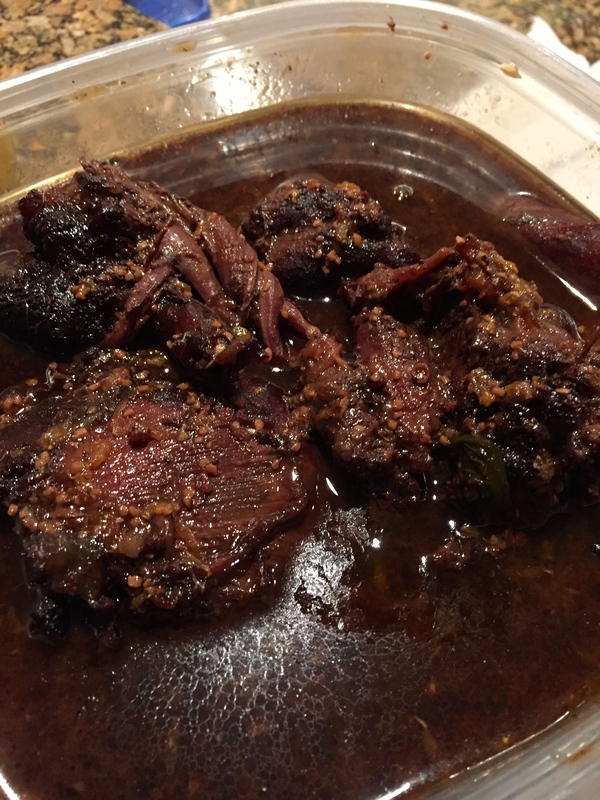 Shred the venison or leave whole and serve! In a large stock pot, add all the stock ingredients and bring to a boil, then reduce the heat and simmer for 15 minutes. Cool until ready to use. Bring shanks to room temperature one hour before cooking. Season Shanks with a little kosher salt, black pepper and Chinese Five Spice. Sear the shanks in a large frying pan with a bit of peanut oil, until browned on all sides. Chop the onion and sauté in the same pan for 4 minutes. Place the shanks and onions in a large roasting pan and pour the red cooking stock over the shanks. Cover the pan and place in the oven for 4-5 hours util tender. When finished, remove the shanks and set aside. Strain the sauce and discard all the solids. Pour the braising liquid into a pot and heat until boiling. Make a slurry with 3 tablespoons corn starch, and 3 tablespoons cold water. Pour the slurry into the braising liquid to thicken a little (*Don't make it too thick, this is a sauce, not gravy). 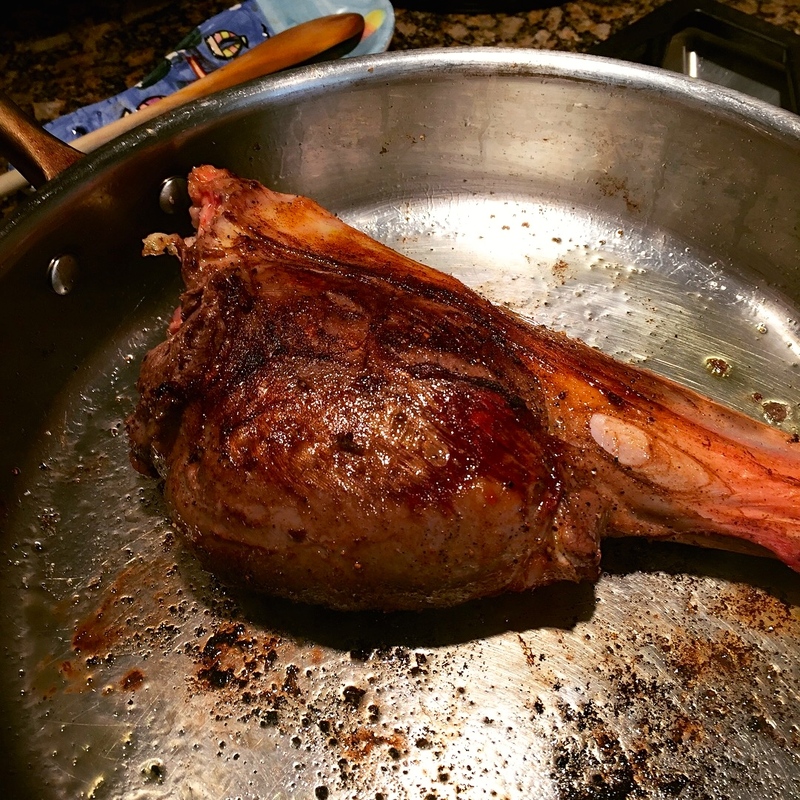 Serve the shanks whole, or pull the meat off the bones. Serve with rice and stir fried vegetables. 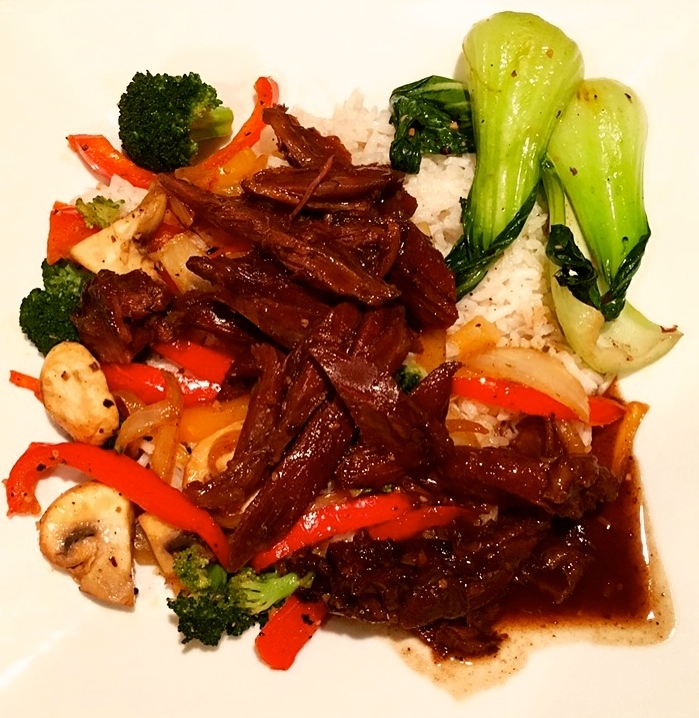 Use the braising liquid to pour over coconut milk jasmine rice and stir fried vegetables. YUMM!